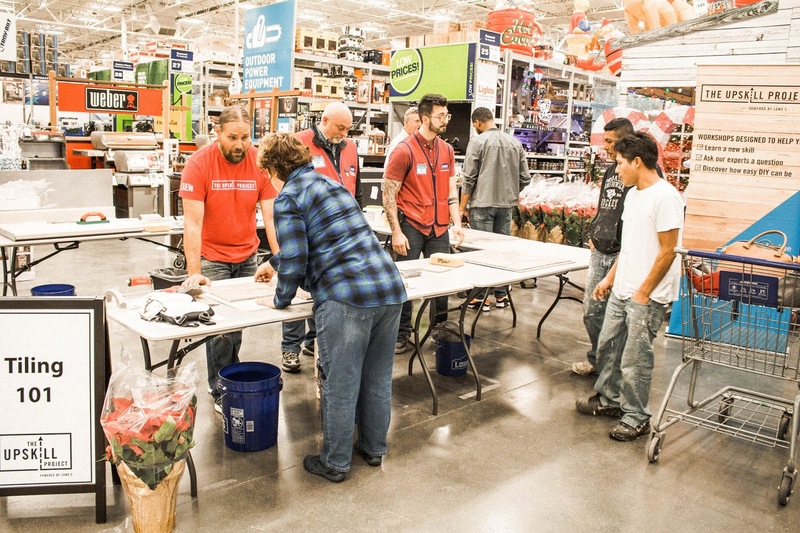 We told you about The UpSkill Project (powered by Lowe's) a couple of weeks ago. As mentioned in that post, they have a contest portion and then a community day. 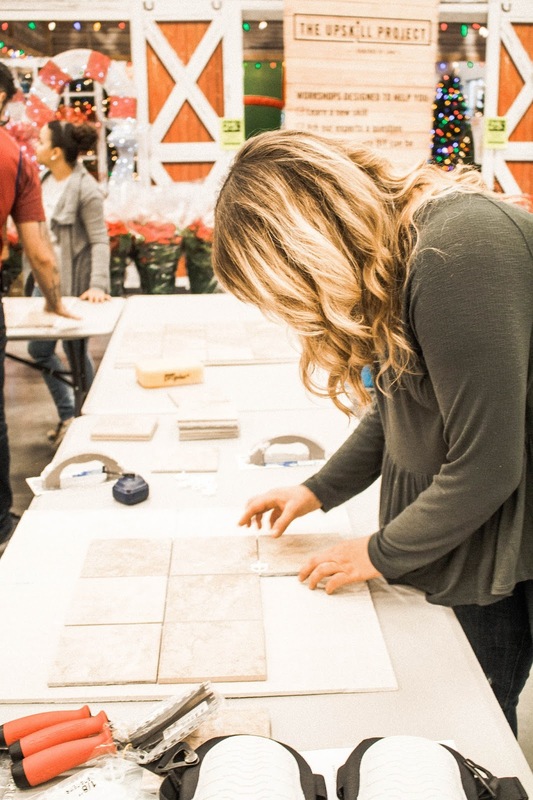 We were so excited to attend the Workshop at the Lowe's in Smyrna, TN. The idea is that they are able to help the people in their community learn some simple household project skills, and it's all free! This guy here (in the red) is the man. I asked him approximately 809 questions and he answered them all with a smile on his face. Bless him. Here you see Myra + Joe learning how to tile as well! 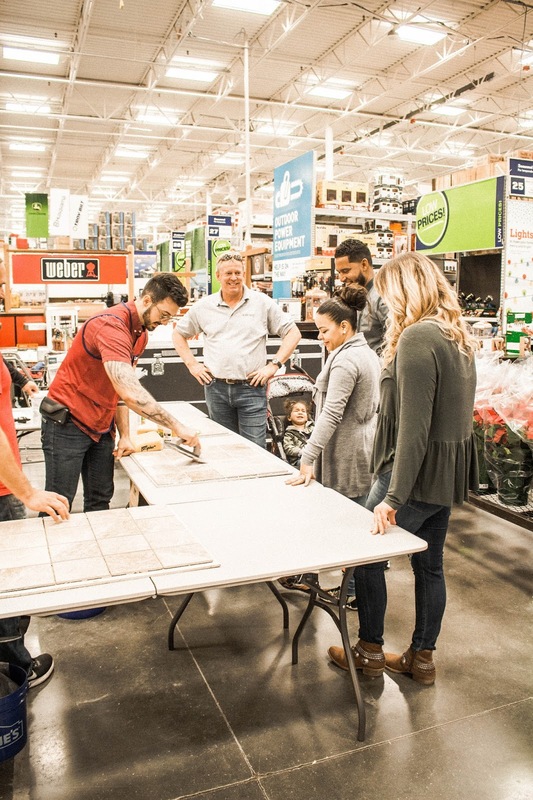 They are the family who won the contest to have Lowe's walk them through some DIY projects in their house. Myra told me she is ready to tile her bathroom now! It's pretty cool that The UpSkill Project gave someone like Myra and Joe (and me) a little information and instruction that has empowered us to tackle home DIY projects. I'm not even kidding. We've been talking about redoing our kitchen floor and never considered tile as an option because it was something we could never do. But if there is something I've learned through our blog life it's never say never! I'm probably gonna quit nursing and blogging and become a professional tiler (is that a word). Just kidding. Let's get one tiling project out of the way and we'll see what I have to say then. 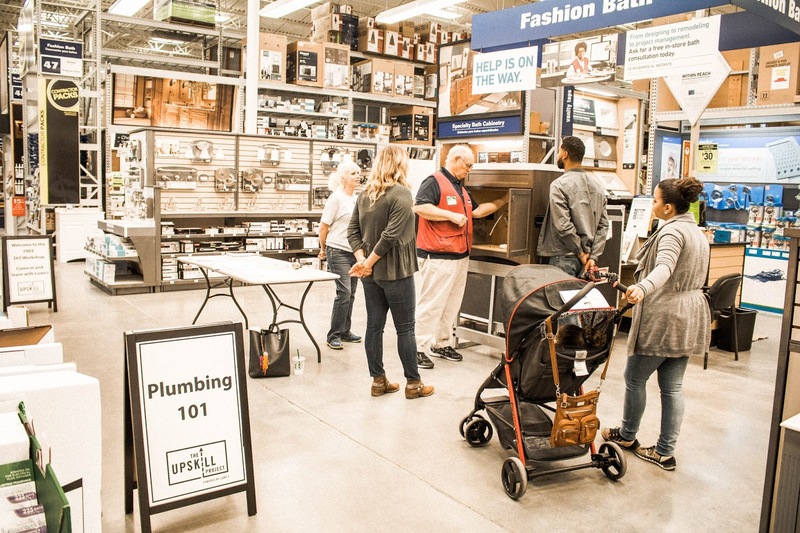 We are so grateful to Lowe's for inviting us to join in and be a part of the UpSkill Project! We have loved being a tiny part of such an important and helpful project. Check out the UpSkill website to see if they are doing a community day near you. 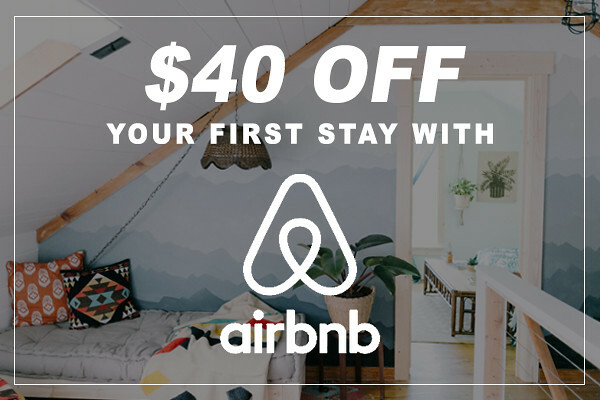 If you have a big project ahead, this would be a great time to learn and ask questions!